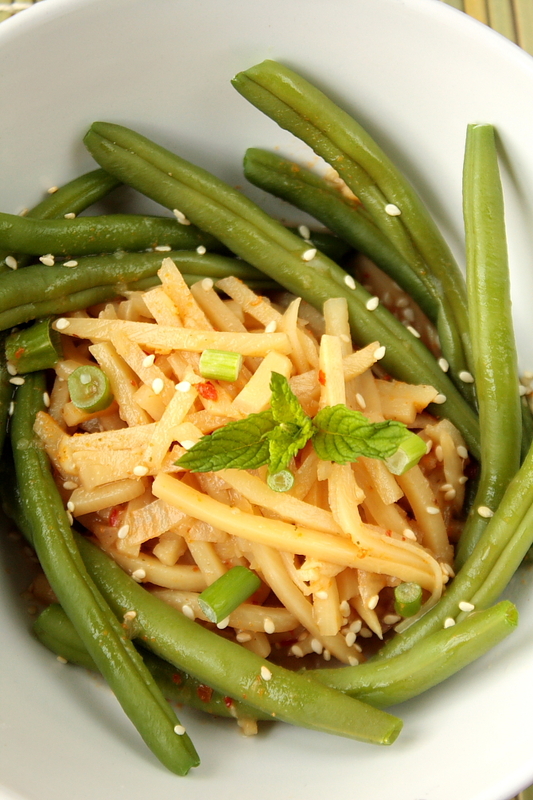 Cook the green beans until they’re cooked through but still crunchy (al dente), set aside. 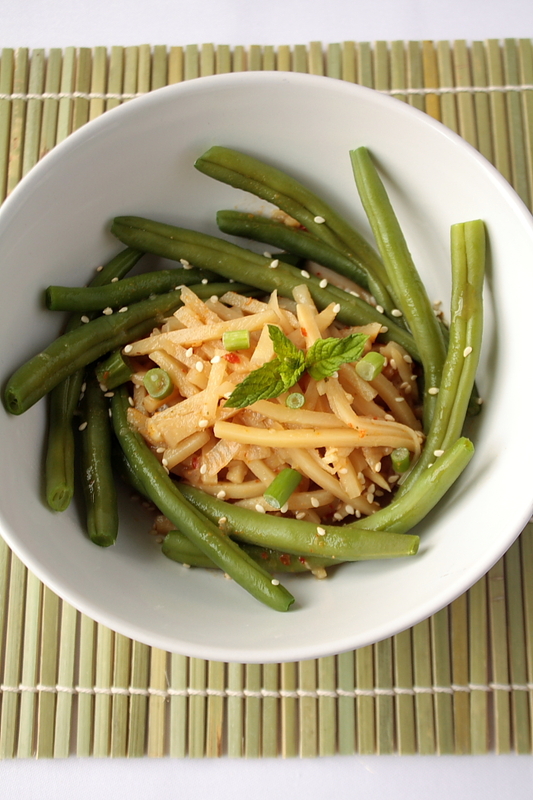 If your bamboo shoots don’t come pre-cut, cut them into spaghetti-like thin slices, set aside. Dry-fry the sesame seeds in a pan until they turn golden. Set aside. Chop the shallots, chili and garlic, fry in a tablespoon of vegetable oil until transluscent. Then crush them into a paste with a pestle and mortar or with a hand blender. Heat the stock in a saucepan and add the shallot mix to it. Add lemon juice, soy sauce, sugar and stir well. Add the bamboo shoots and stir them in the juices. Set aside and let it cool down (it can still be lukewarm when serving). Assemble the salad: place the bamboo shoots in the middle of a plate. Arrange the beans around. Sprinkle the whole salad with sesame seeds, mint, spring onions and shallots and serve.